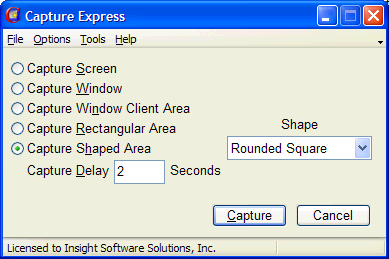 Once Capture Express is running, it remains hidden in the background just waiting to be sprung to life. It jumps into action by pressing a hot key. Once the hot key has been pressed, a window similar to the one below appears allowing you to choose your capture option. It will be set to your preferred default as set in the configuration section of the program. If you want to use the default, simply hit the enter key or click on the capture button. Capture Express hides itself again and the capture begins. 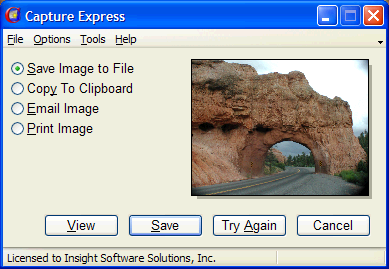 The screen similar to the one below will pop up when you have completed the initial screen capture. 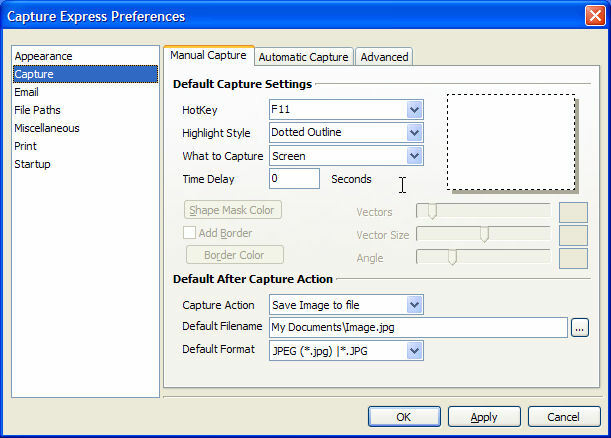 This screen allows you to do one or more of seven defined actions with your freshly captured image. One of the options will be automatically chosen for you as the default option which can be set in the configuration section of the program. All actions can also be invoked by right clicking on the image. 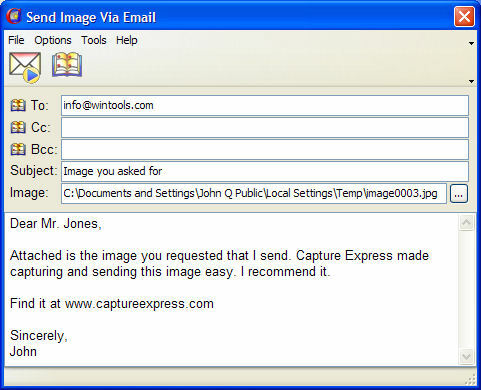 The screen below depicts the Email Image dialog which allows you to send the image you have captured to a friend or associate via email. The image may be sent as in .bmp, jpg, gif, png, or .tif file and it will appear as a file attachment in the recipient's email. 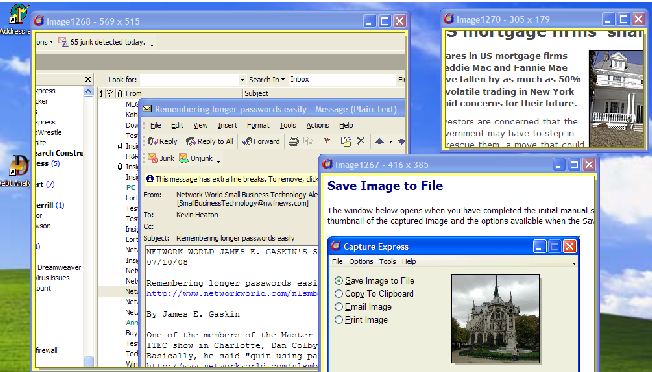 Use the preferences dialog to select the HotKey used to activate a capture, choose what to capture, what action to take after the capture, and enter your email settings. Set other options such as Automatic and Automatic Repeating Captures. Save quick notes on the screen by viewing a captured image. 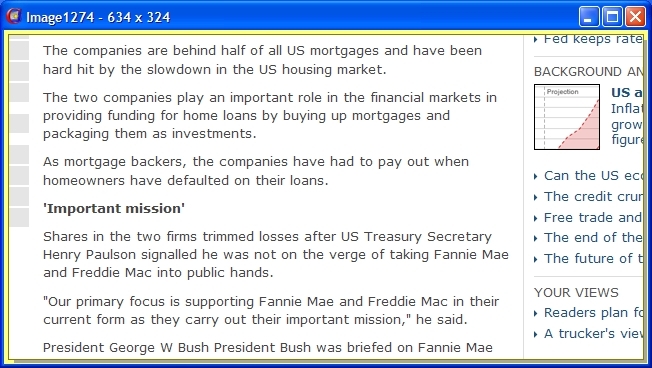 Keep snippets of information handy as you work in other programs. Keep multiple quick notes on your screen.